by Sunday, December 1, at 6 pm. CHEST 30-32" 32-34" 34-36" 38-40" 42-44" 46-48" 50-52" 54-56" 58-60"
Personalization involves the addition of a name, name and number or other such text on the back of the sweatshirt or t-shirt. Your personalization text must be included in your order. cash or check may dropped off at 4910 - Meadow Creek Drive South, Fargo, ND. may also just email your order without using the order form. distribution before Christmas. 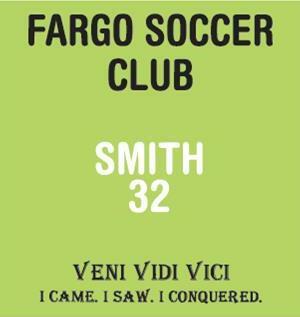 Checks must be made to the Fargo Soccer Club. WAIST 24-26" 26-28" 28-30" 32-34" 36-38" 40-42" 44-46" 48-50" 50-52"
INSEAM 27" 28" 29" 30" 31" 31.5" 32" 32.5" 33"
Items 1 and 2 can be ordered in both youth and adult sizes. The youth sizes do not have a hood drawstring. 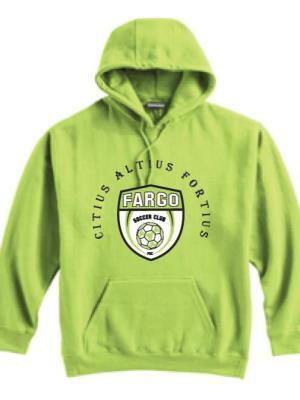 The adult sizes do have a hood drawstring. Both have a pouch pocket. Both have a locker loop. Youth sizes are small, medium and large. Adult sizes are XXS to 4XL. The material is a 10 ounce 60/40 ringspun combed cotton/poly blend. There is a reinforced performance necktape, double needel stitching and rib knit cuffs and waistband. Citius Altius Fortius is the Olympic motto meaning Faster, Higher, Stronger. 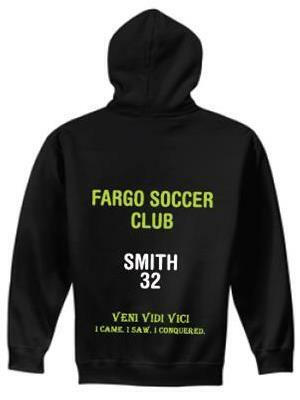 For an additional $10 the back of the hoodie may be personalized with a name, name and number or such text as you would like. Your personalizatin text must be included in your order. 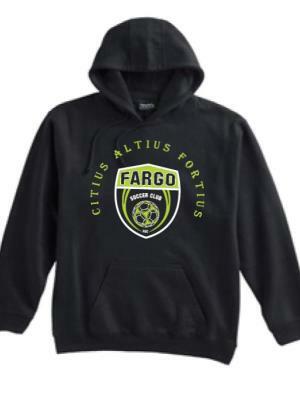 Item 3 can only be ordered in adult sizes from XXS to 4XL. The t-shirt has a soft cotton feel but poly performance. It is made of 95% cationic polyster and 5% spandex. It is loose fit and tagless. 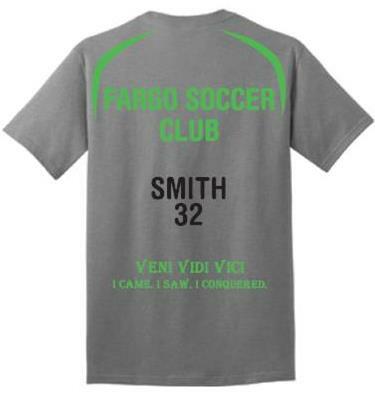 For an additional $10 the back of the t-shirt may be personalized with a name, name and number or such text as you would like. Your personalization text must be included in your order. Item 4 can be ordered in youth and adult sizes. 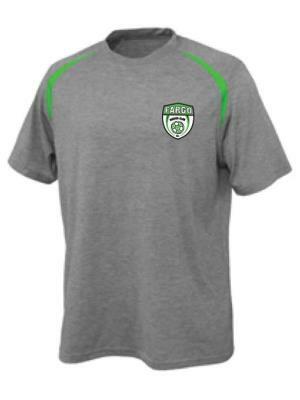 The youth sizes do not have a drawstring or pockets but do have an elastic waistband. The adult sizes have both a drawstring and pockets as well as an elastic waistband. Youth sizes are small, medium and large. Adult sizes are XXS to 4XL. The material is a 10 ounce 60/40 cotton/poly blend. The bottoms are open (not elastic).